The Ferrari Testarossa 12-cylinder, mid-engine 2-door coupe first appeared at the Paris Motor Show in 1984 and remained in production until 1991. A dazzling white version gained fame as Sonny Crockett’s choice of transport in the hugely popular Miami Vice series (replacing the Ferrari Daytona replica). A generation of budding petrol heads grew up dreaming of cruising along Miami sands in a Testarossa with Jan Hammer’s soundtrack playing and the exhilarating sound of the flat-12, 5-litre engine. 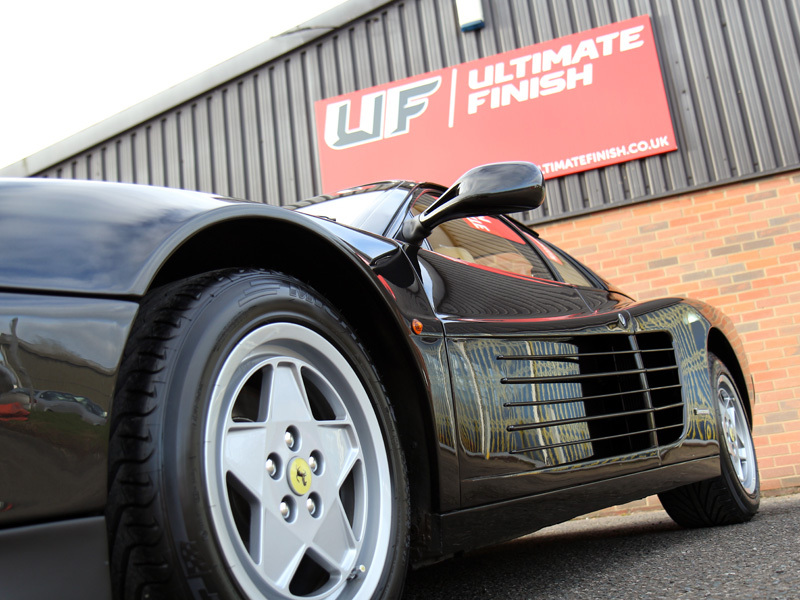 This Type F110 Testarossa recently booked into UF’s Brands Hatch studio had been the subject of an extensive rebuild, from the brakes and suspension components through to the flat-12 engine which was absolutely spotless. 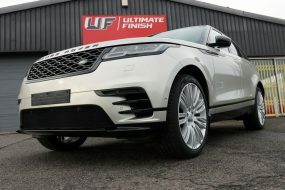 Paint protection film (PPF) covered the headlight lenses and a complete respray completed prior to the rebuild had resulted in an unusually thick (380-420 microns) albeit consistent layer of paint. 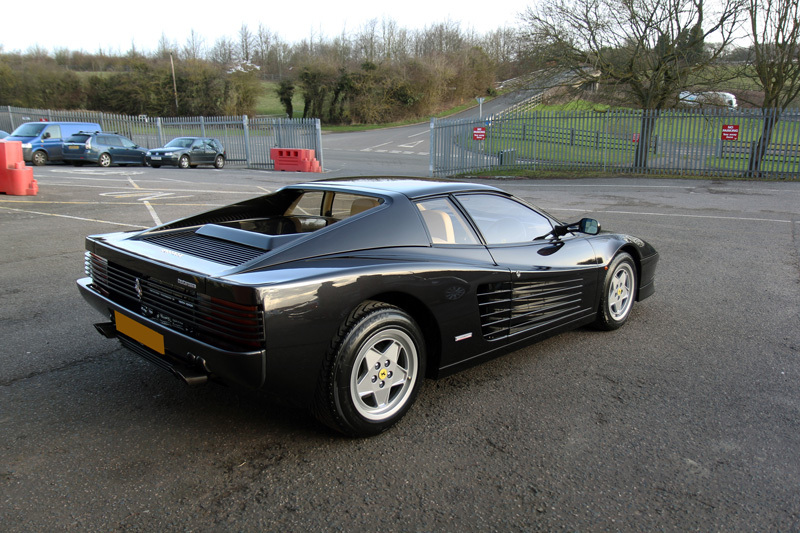 The new metallic black paintwork was harder than the original soft paint typically found on Ferraris of this age. 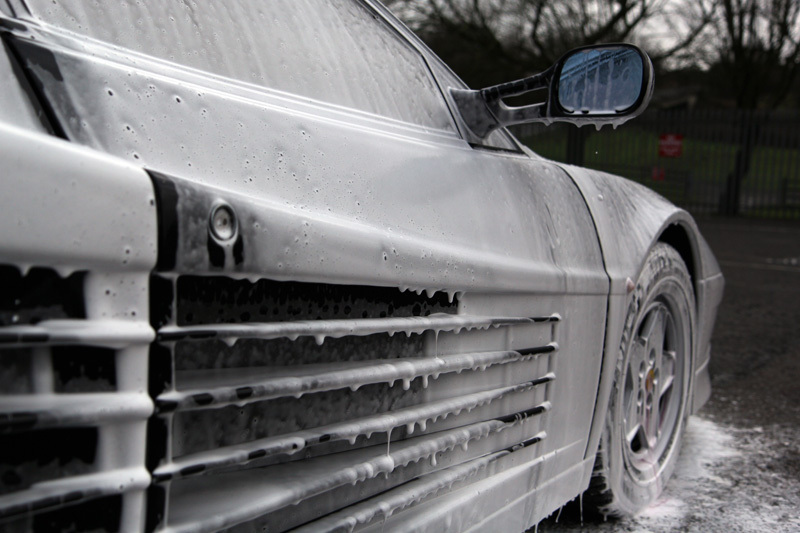 Before a comprehensive appraisal could take place the Testarossa required thorough decontamination and cleaning. Bilt-Hamber Korrosol was applied to the bodywork and wheels to remove iron contamination. When brakes are applied, tiny hot metal particles shred and become airborne. 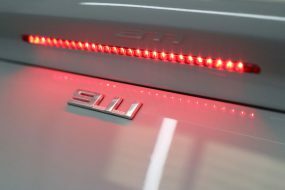 These bond to the first surface they come into contact with, so areas with the highest degree of build-up are wheels, behind the wheel arches and along the sills. These particles begin to oxidise and as they do so they swell. Left in situ they can cause permanent pitting in the surface. Therefore, prior to applying a durable ceramic sealant, it is essential to ensure these particles are first removed otherwise they may be sealed under the coating. The active ingredient in Korrosol shrinks the particles, causing them to break their bond with the surface and allowing them to be easily rinsed away. Korrosol also contains a colour-change ingredient, changing to a deep purple as it neutralises the iron contamination. 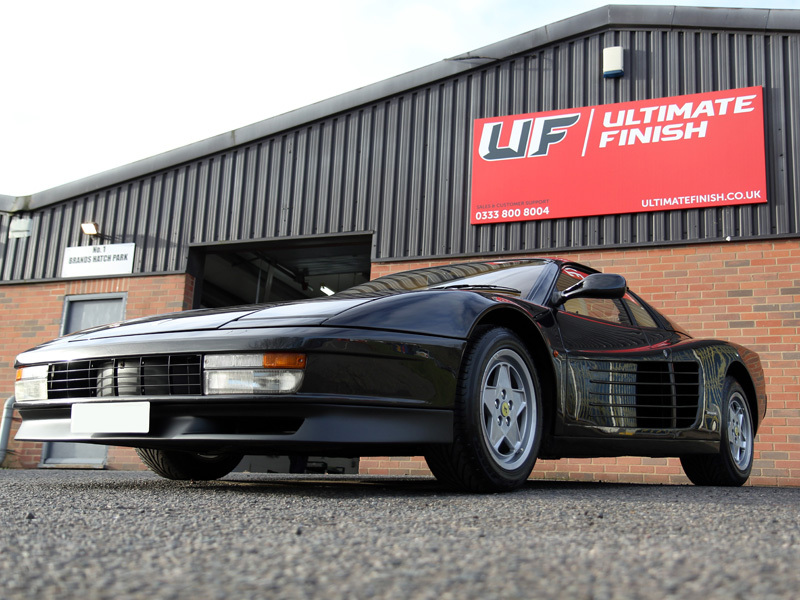 A degreasing solution of Bilt-Hamber Surfex HD was applied using a Kwazar Orion Super Pro+ Pump-Up Sprayer, allowing for accurate application between the grilles and fins on the Testarossa. Surfex HD eliminates oily and greasy residues such as road grime and diesel splatters. The final stage of decontamination was to apply Ultimate Snow Foam. 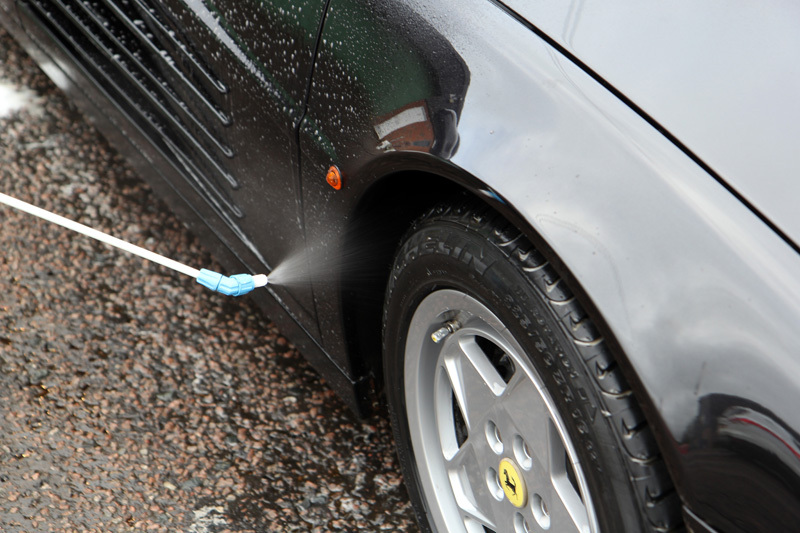 This non-contact pre-cleaner creates a thick clinging foam which reaches into the nooks and crannies, lifting larger particles of dirt and grit away from the surface of the car and allowing them to be freely rinsed away. 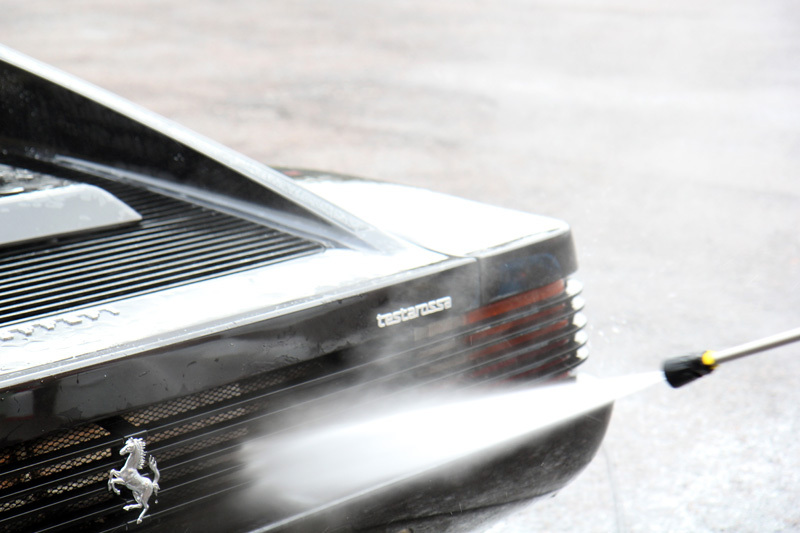 The Testarossa was then thoroughly rinsed clean of any foam using a Kranzle K-1152 TST pressure washer. The wheels were cleaned using a solution of Nanolex Pure Shampoo and Wheel Woolies, long-handled brushes which fit through the spokes of the wheels to clean through to the back of the rim. 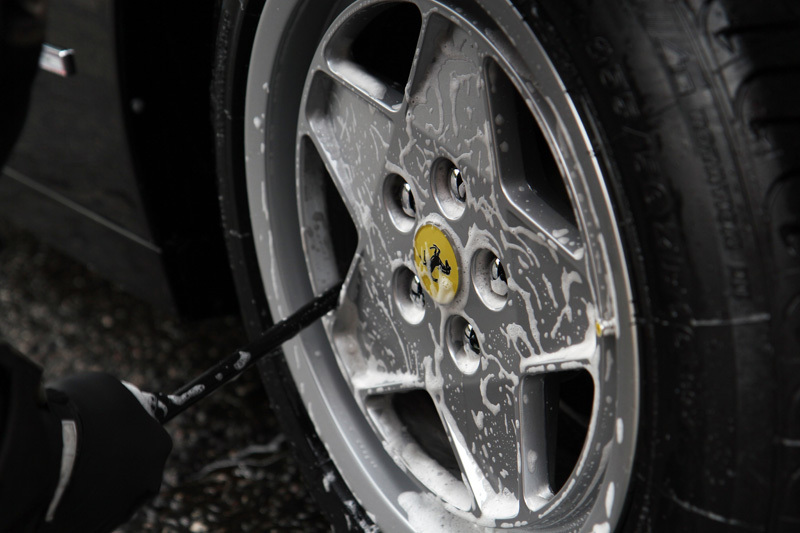 The Testarossa was given a wash using the Two Bucket Method, an Ulti-Mitt Wash Mitt and Nanolex Pure Shampoo. After rinsing away the suds, an Aqua Gleam De-ionising Water Filter was attached to a hose to give a final, pure water rinse. 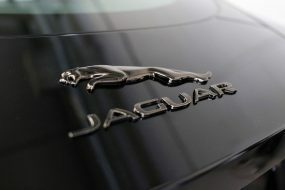 Afterwards, the car was brought into the detailing studio and dried using ultra-soft microfibre drying towels. The paintwork, now clean, was ready for close visual inspection under high-intensity lighting to determine the true level of damage. To correct the paintwork blemishes, a RUPES BigFoot LHR12E Duetto was used with a Kamikaze Collection Banzai Dynamics Polishing Pad and Menzerna Medium Cut Polish 2400 (previously PO85RD3.01). Menzerna 2400 contains a delicate diminishing abrasive and lubricating oils, allowing the polish to be worked for longer to achieve a gloss finish that requires minimal refining. The Banzai Dynamics Polishing Pad features Dot Point Polishing (DPP) technology, where the ‘nippled’ surface of the pad creates a superb polishing action whilst encouraging air flow, keeping frictional temperatures lower and allowing polishing to be carried out over longer periods. The grids covering the taillights were removed to allow for machine polishing as they were covered in swirls. Once the lenses were clear, the grids were replaced. Refining the paintwork was completed using a FLEX PE14-2 Rotary Machine Polisher. 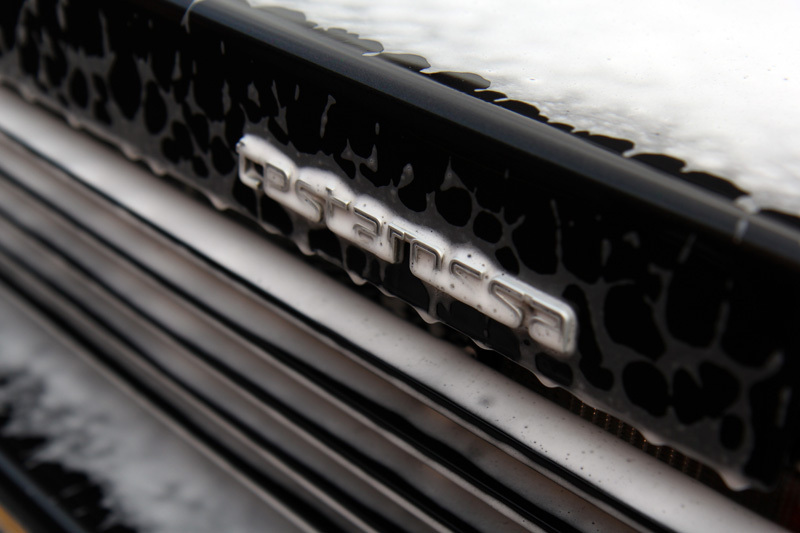 The larger panels were polished to a high gloss with a 3M PERFECT-IT III Black Polishing Pad and Menzerna Super Finish Plus 3800. 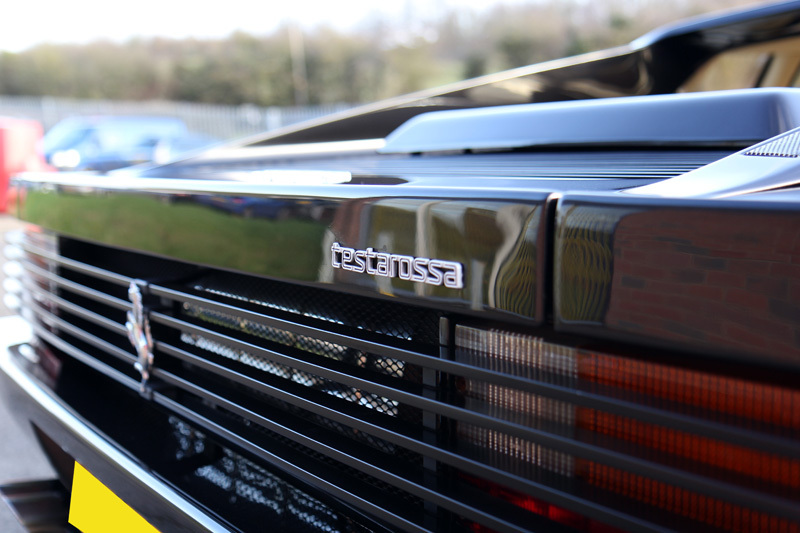 Using an extension bar fitted to a FLEX PE8-4 Lightweight Mini Rotary Polisher and a FLEX Yellow One-inch Backing Plate with a FLEX One-Inch Soft Finishing Spot Finishing Pad, the areas between the fins running along the sides of the Testarossa were polished. 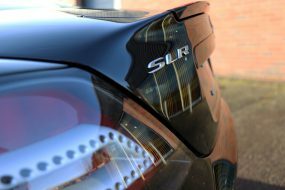 With the gloss now fully restored to the paintwork, Kamikaze Collection ISM PRO Hydrocarbon Coating was applied to protect and preserve the finish. This highly durable nanotechnology-based sealant uses German-sourced elements and Kamikaze Collection’s ultra-low molecular weight hydrocarbon ingredients to produce a coating with extreme water repelling properties. ISM PRO also produces a superior, candy-gloss shine enhancing further the metallic fleck in the paint. The secret to ISM PRO’s effectiveness and durability lies not only in its formulation but also in the precise application method under tightly controlled environmental conditions. 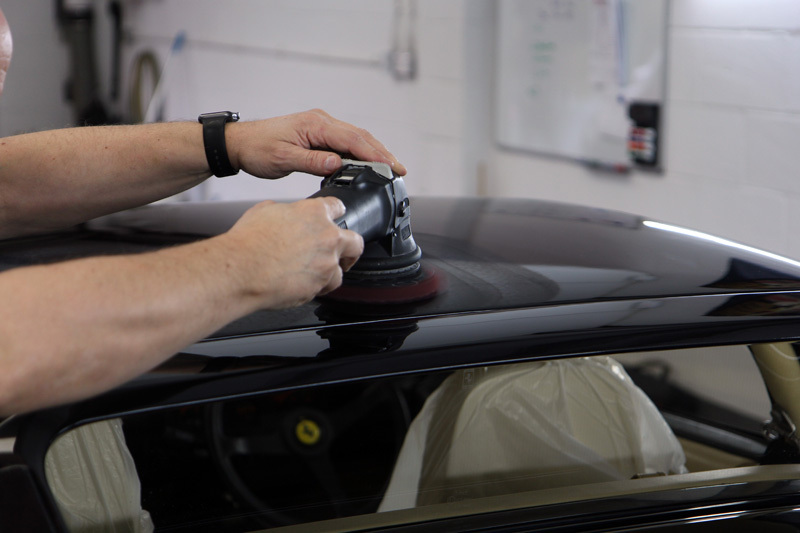 As a result, ISM PRO is available only as a service through Kamikaze Collection trained and certified professional detailers. 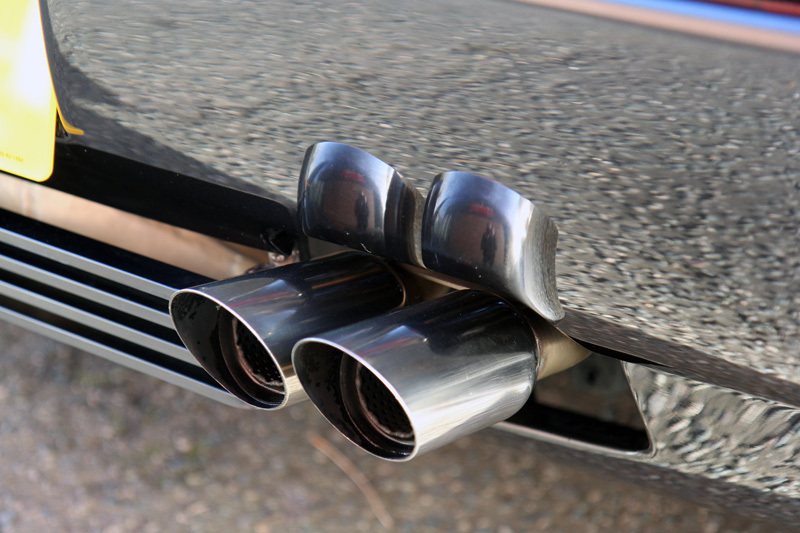 The exhaust tips were polished and protected using Britemax Easy Cut Polish and Britemax Final Shine Metal Sealant, also known as Britemax Metal Twins. Easy Cut Polish can be used in conjunction with a machine polisher to quickly remove tarnish and soot. Final Shine Metal Sealant burnishes most metals to a bright, warm lustre and adds a protective layer, helping to inhibit the build-up of soot and oxidation spots. 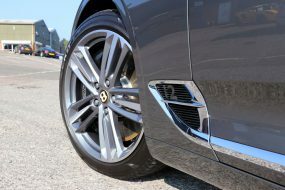 The wheels were protected with Kamikaze Collection Stance Rim Coat, a nano-sealant specifically formulated to withstand the challenging conditions wheel rims endure. Heat resistant, water and oil repelling, Stance Rim Coat protects from dirt, grime and damaging brake dust build-up, helping to keep wheels cleaner longer. Contamination cannot bond as effectively with the treated surface, so is more easily washed away. 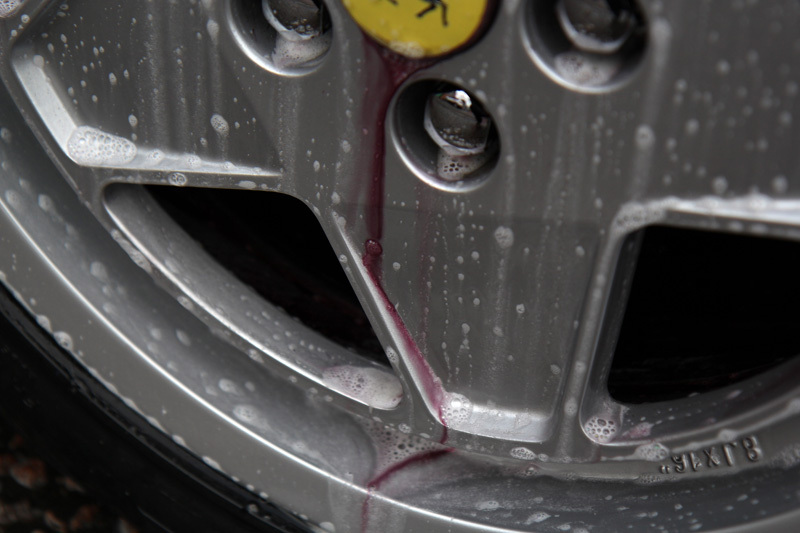 This negates the requirement for astringent wheel cleaners, the accumulative use of which may compromise the wheel’s lacquered finish. The tyres were given a satin sheen with Gtechniq T2 Tyre Dressing to complete the look. 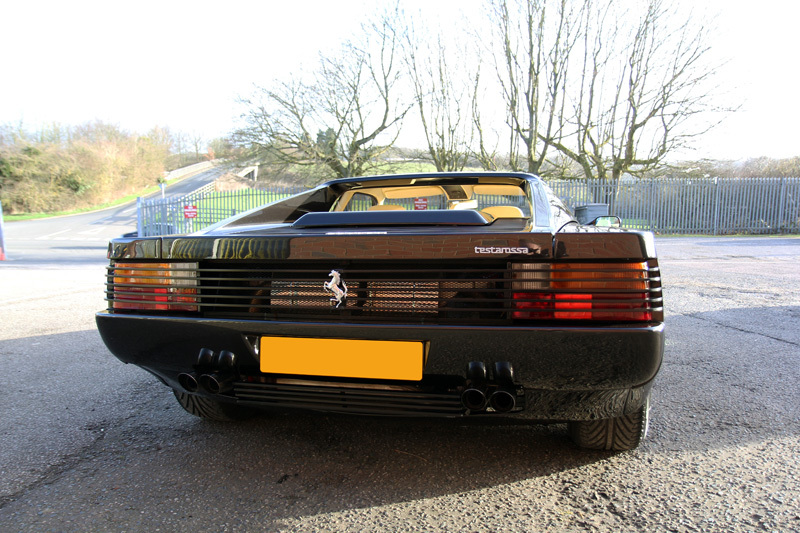 Fully protected, the Testarossa now looked ready to take on whatever the British weather has to throw at it. Cue the music – and hopefully, the sunglasses!